ALTON — The municipal court here launched its first amnesty program Monday for those with pending arrest warrants tied to outstanding traffic citations. The two-week program runs through Sept. 3. During that period, the Alton Municipal Court will waive both warrant and failure to appear fees for anyone who received a traffic citation, such as speeding or driving without a license, from the Alton Police Department. “This amnesty program is a great opportunity for the community to come in and resolve their fines without the fear of being arrested,” said Alton Police Chief Jonathan Flores, who spearheaded the program. A warrant fee is $50 and the failure to appear fee is approximately $208, according to Flores. Payment plans will be available to those unable to pay the full cost of their traffic citation. 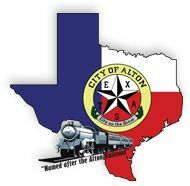 The Alton Municipal Court, located at 509 S. Alton Blvd., is open from 8 a.m. to 12 p.m. and from 1 to 5 p.m. Monday through Friday. Those wanting to know whether they have an outstanding ticket can call (956) 432-0760.